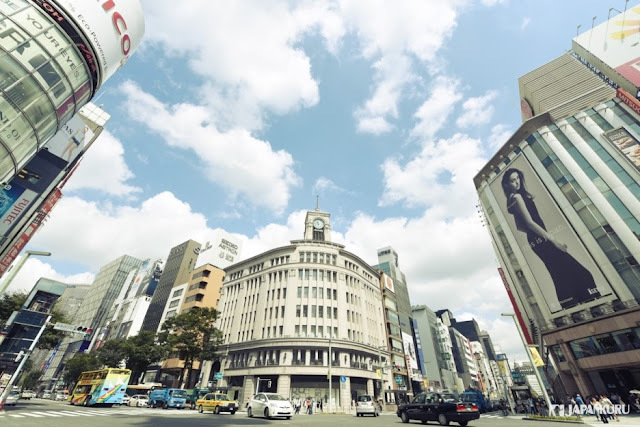 JAPANKURU: #Shopping ♪ Highlight yourself gentlemanly at Sakaeya in Ginza, Tokyo! 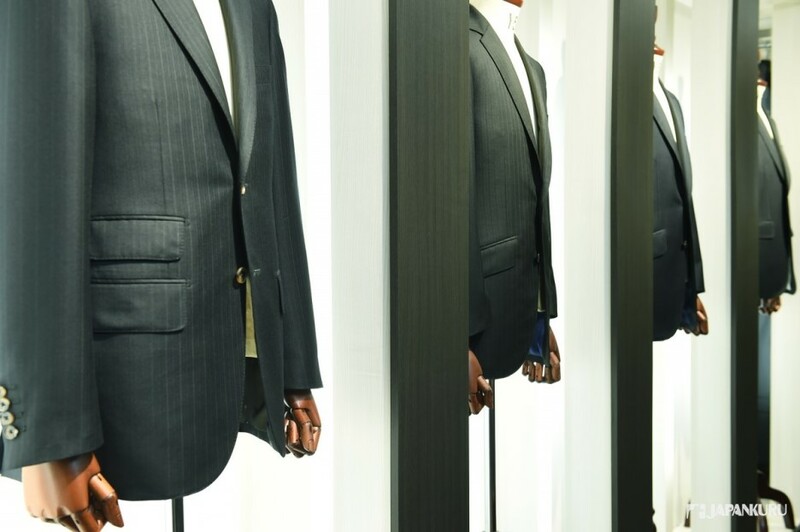 Experience the highest quality of customized suit! #Shopping ♪ Highlight yourself gentlemanly at Sakaeya in Ginza, Tokyo! 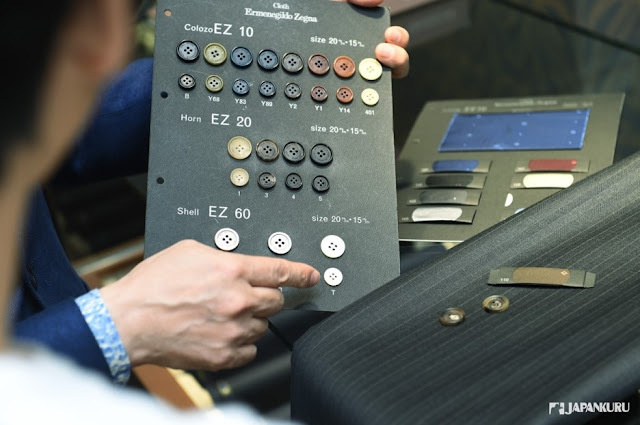 Experience the highest quality of customized suit! 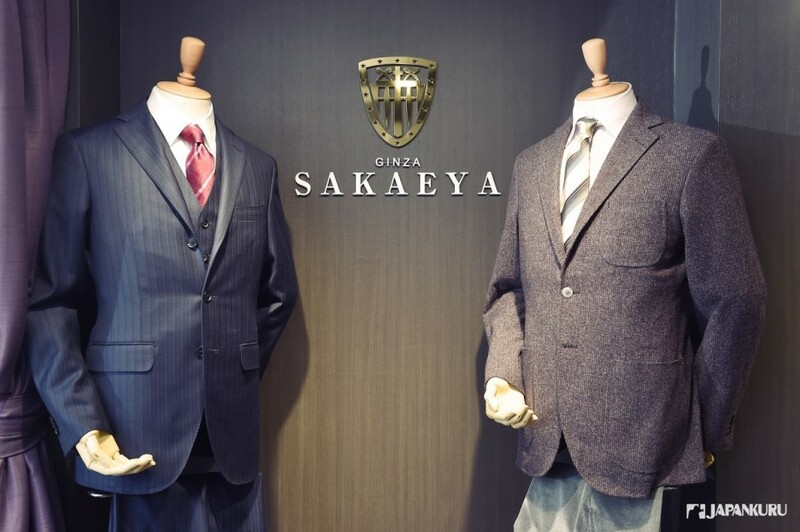 #Shopping ♪ Highlight yourself gentlemanly at Sayaeya in Ginza, Tokyo! 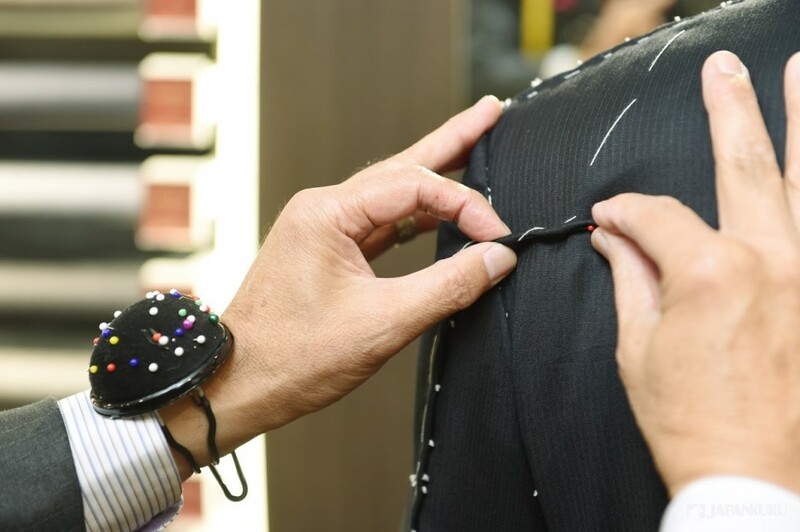 Experience the highest quality of customized suit! As a good man, a formal dressing means a neat shirt and tie. But the most important, of course, is a fitting suit. we find a custom-made suits shop here using the most advanced fabrics and mature technology, focusing on men's detailed style. 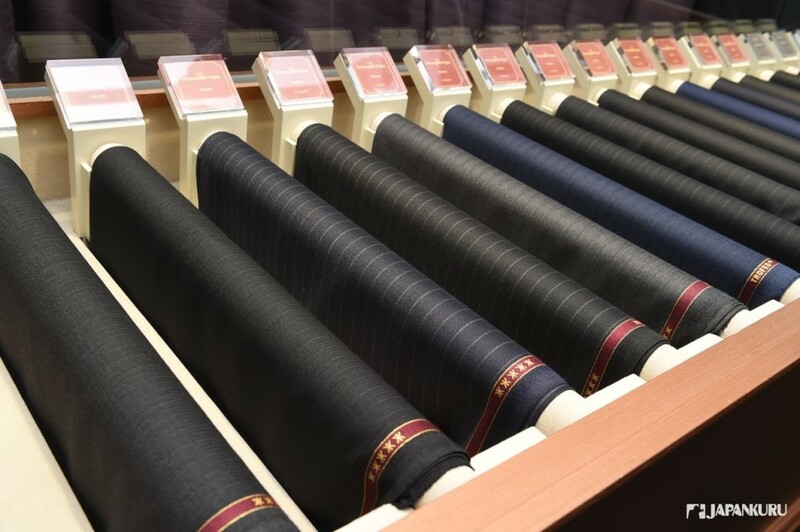 We you are familiar with suits, you definitely have heard of these two brands of the tailor suit fabric production. Whether it is from the fabric or the type of knowledge, production technology and methods, you can find the highest level here! suitable for your own suit. If you are concerned about fashion, you would be familiar with these three words. 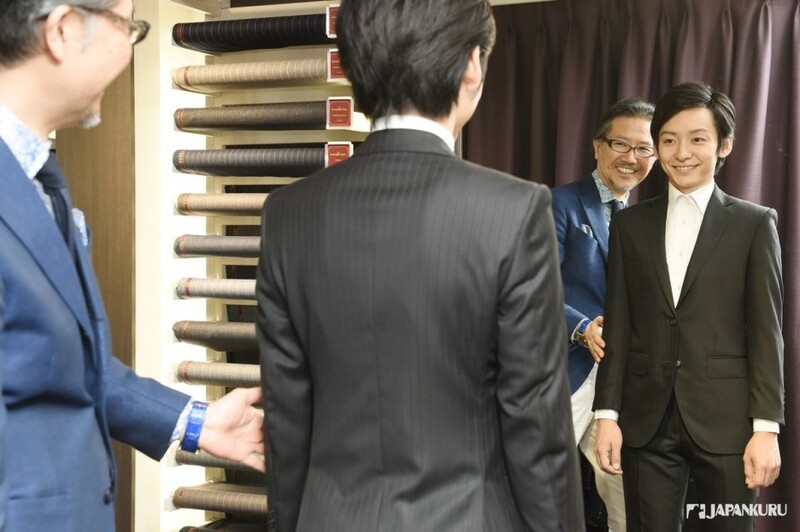 They are all related to making suits. But what are the difference? It is originally from the English words "Been spoken for. " It means made by a tailor or with a tailor's care and style. : made or fitted especially to a particular use or purpose. It is a word only used in Japan. every man's dream is to have their own custom fit and comfortable suit. 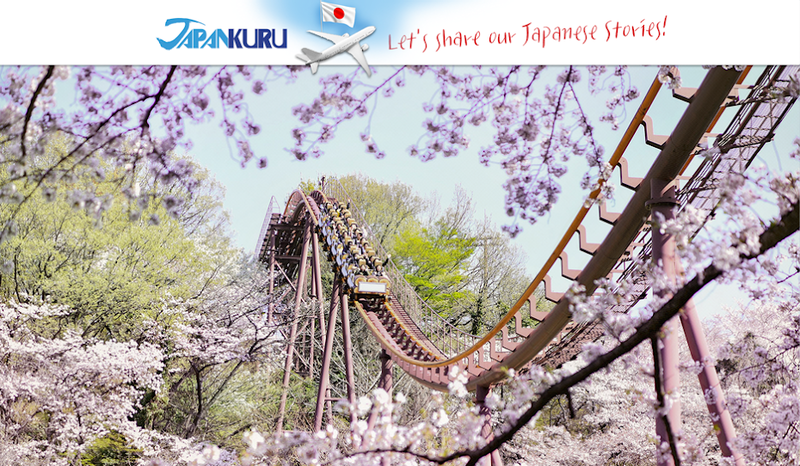 In Japan, there is a place to make their dream to come true. 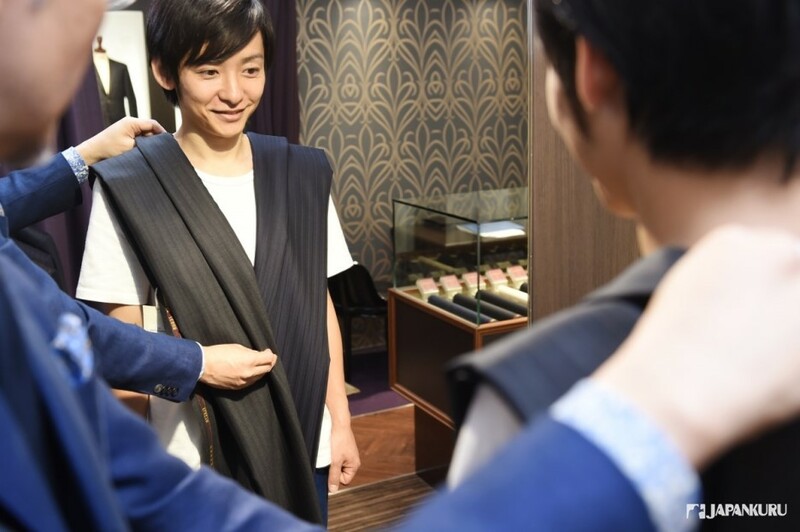 Come with us to experience making a custom-made suit! 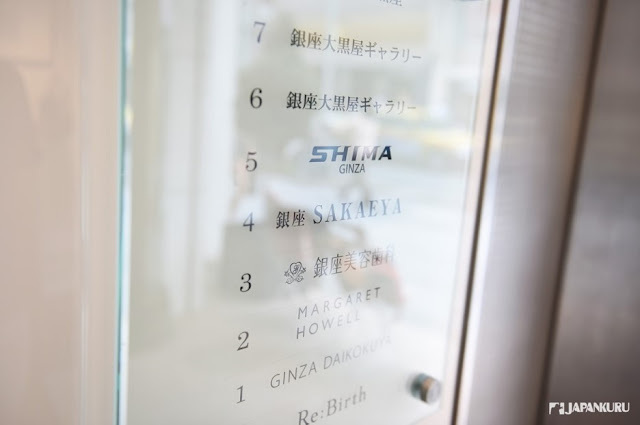 Sakaeya is located at Ginza-4-chome! 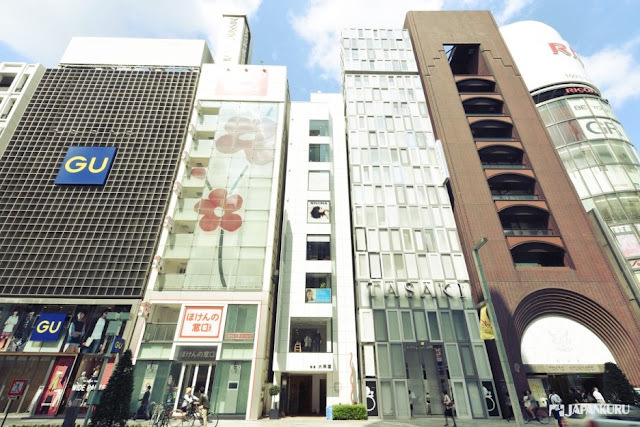 Sakaeya is located between TASAKI and GU. 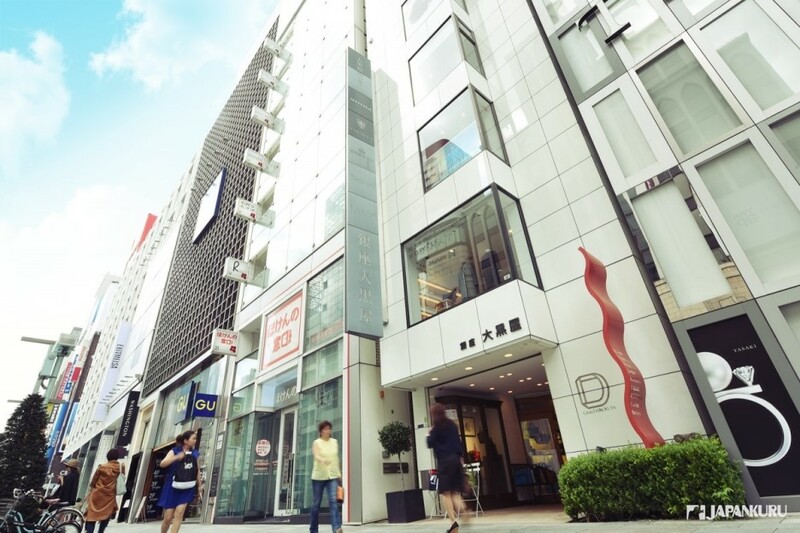 On the same building where Daikoku-ya is on the 4F. # Let's go up to 4F. # Welcome to the world of the suits. Wow!!! A suit of blue stripes and a set of black jacket and gray pants. Wait! Just a suit shop? 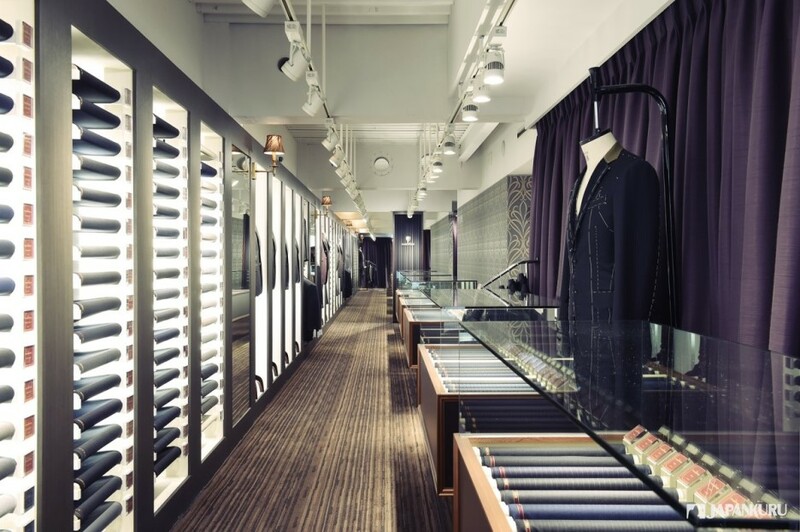 # This is the legendary custom suit shop! 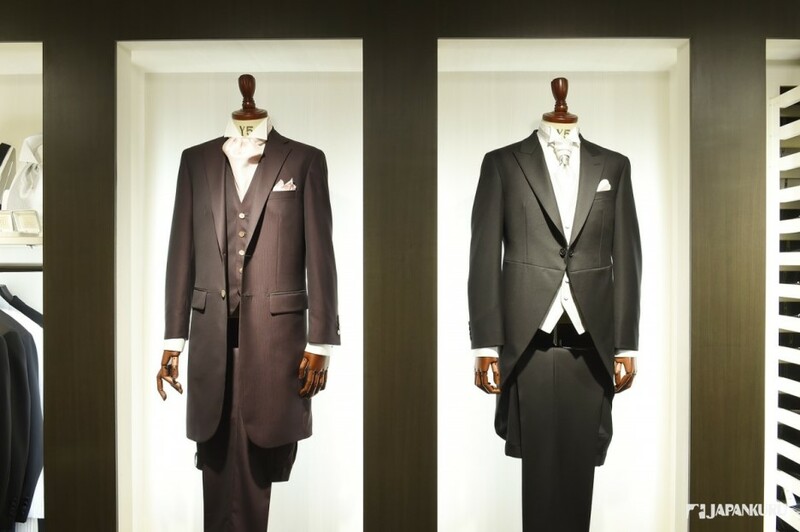 Line-up of advanced fabrics for suit jacket and all types of tuxedo. there are various colors, textures of fabrics displayed! A custom-made suit shop focused on these two fabrics. 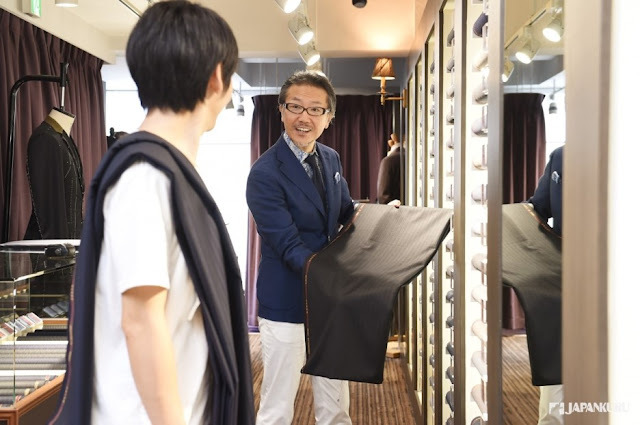 Good fabric is not enough to make a high-quality suit! Technology and extensive skill and fashion trends are significant elements too. 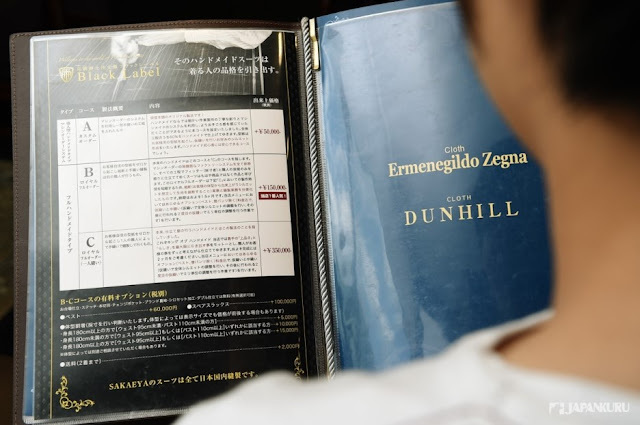 It is the only shop in Japan who does regular silhouettes of Dunhill and Zegna every season. a perfect set of suit is being made! but also the taste and style of the customers. It is difficult but cool! Before choosing a fabric, let's choose your plan. About 60 % of the entire production process is handmade, the rest is machine. 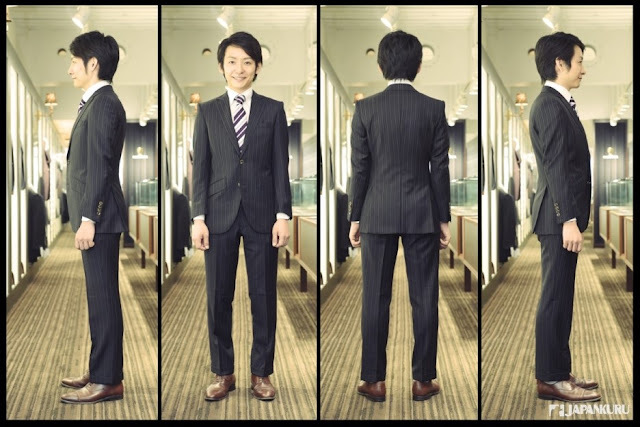 It is a reasonable price for a customized suit. but adjust carefully according to the size and style of your body. The entire production is handmade. The whole process is professional! To shorten the production period, more people are involved on the cutting and sewing process. The entire production is completed by the highest level professional. A person completes all 22 steps and make it an exquisite work! they will suggest colors and material according to the height, skin color, body proportion, occasion. # What do you think about this fabrics? An expert advised a dark blue and calm dark grey colors. Finally, we made the decision!! Excellent fabrics with excellent buttons! Exactly! Diversity of choices, according to your style! The most important measurements indeed! In general, only one measuring long ruler is used! A shorter one is only used by some British traditional tailors. its original measurement method is used. Using both short measuring ruler for 30 spots and long measuring ruler for 15 spots. 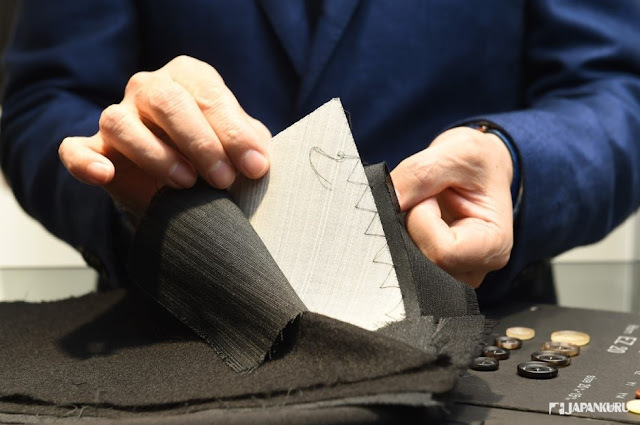 Every detail is the key to determine the final qualified suits. After measuring the size, make it wet and dry again to prevent contraction. After that, a model size of the measurement is to be determined. Putting a piece of fabric on as the "core" of the chest region. That is the "skeleton" of the suit! 2 various materials as the core are used for different parts. Fabric is being cut according to the core measured paper. Try on and fit every detail point. 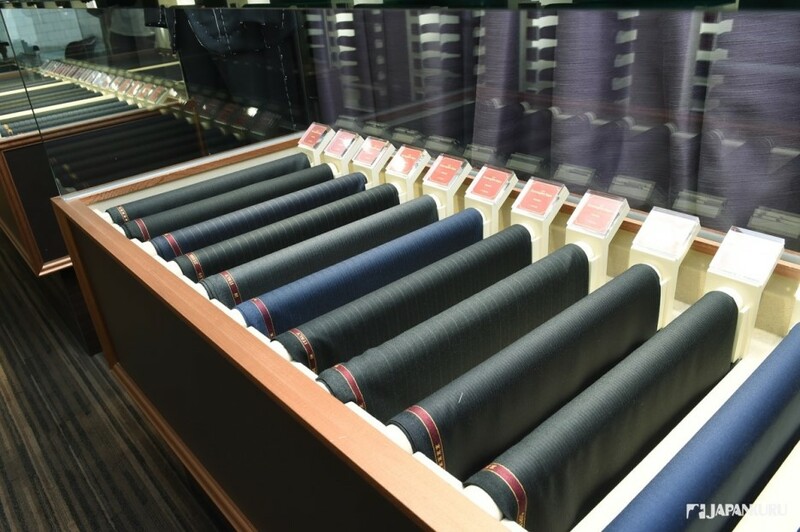 With long-standing experience and high technology, a unique way of tacking is used to guarantee an excellent quality. Especially the fine adjustment to ensure the shoulder region is fitted but flexible. No worries about a relatively large movement. Find the pleasure in front of the mirror! An original suit is completed! 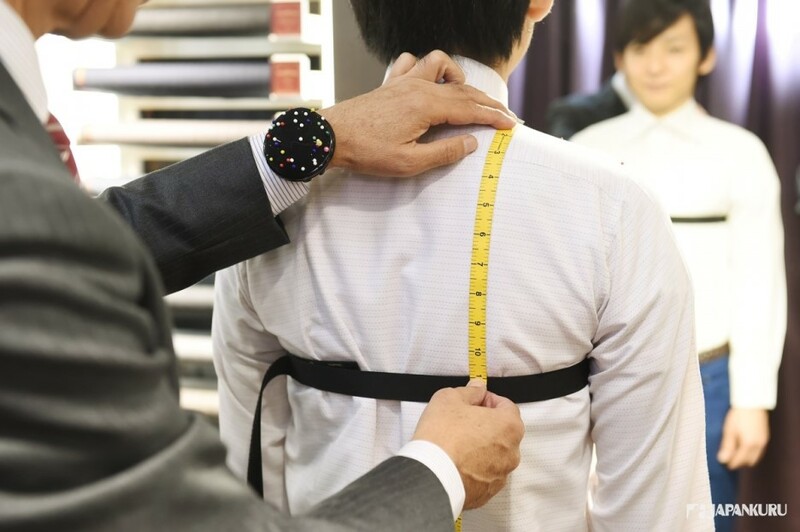 Carefully chosen fabrics, coupled with rich experience in measurement and cutting. 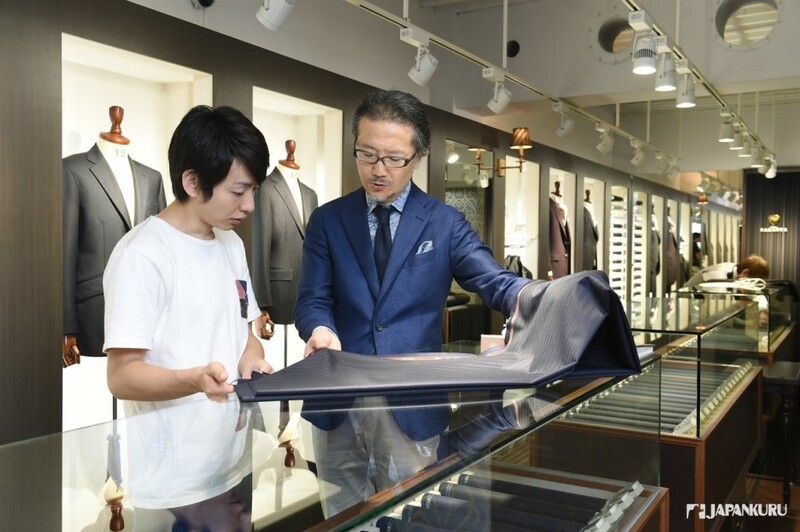 A suit to be done requires at least 3 weeks to 2 months. Therefore, you might be hesitated to make one during your travel in Tokyo. 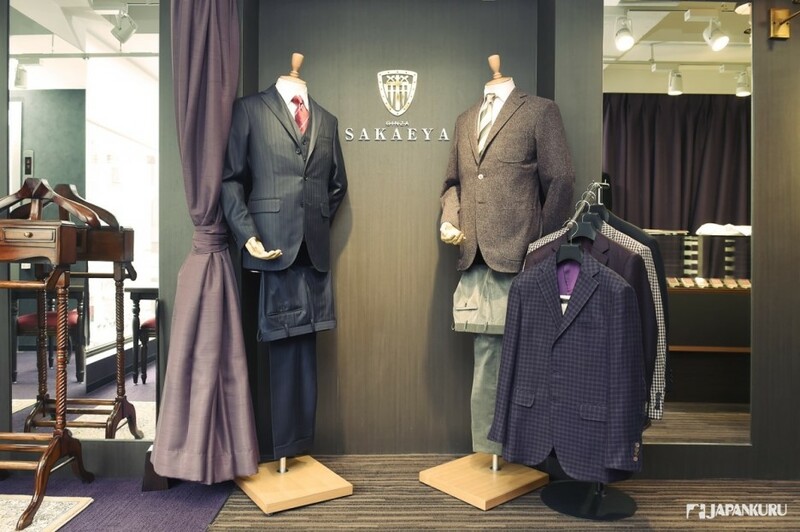 Sakaeya is well-prepared some well-done suit for people with different body sizes from around the world! It is made for the general body type of the Asians. In order to achieve a more flexible shoulders and body line, the ratio of the width of the front and back is more flexible. The line of the pants make show the shape of the hips perfectly. 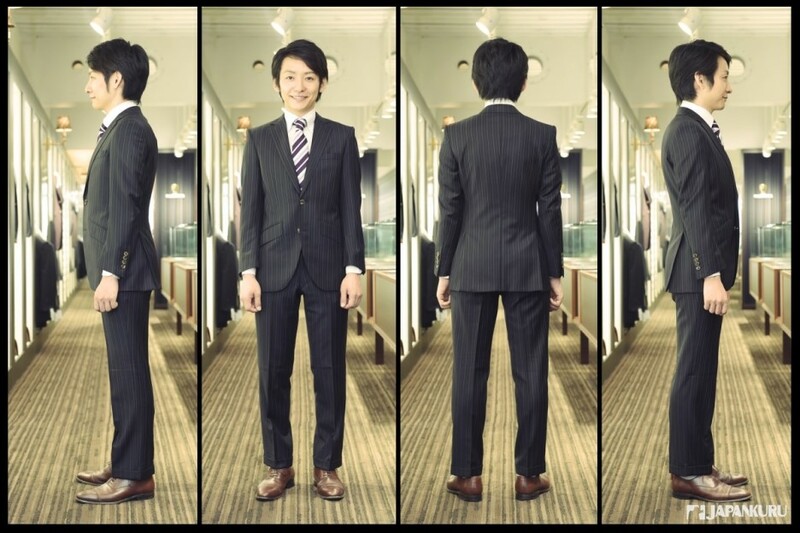 Even it is not tailored, a well done suit can make your movement more comfortable and natural. You can feel it from every details! 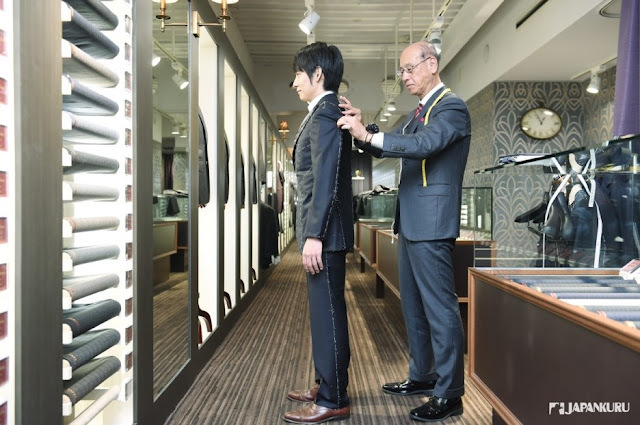 come to find the "best tailor" in Japan! 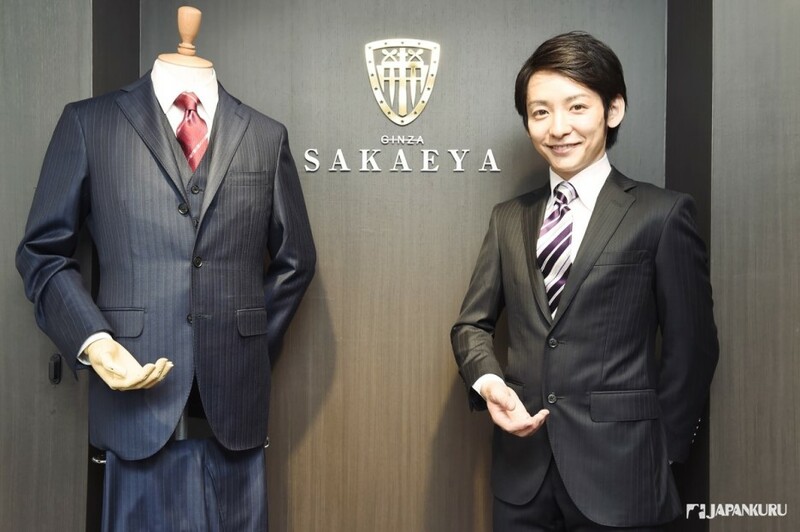 SAKAEYA, representing Japan, won the tailor competition worldwide in 2011, 2013 and 2015.
but also the heart and passion to make every piece a perfect art! 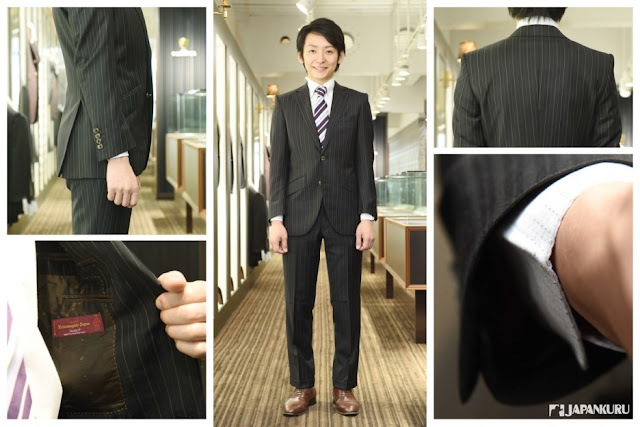 a suit with both traditional spirit and stylish element can be done for every gentleman! Come on! Have your own suit to highlight your sense of being a gentleman!!! Here is your best choice!